One last photograph on the London Bridge and then a short drive to Westminster Road, where I turned into the driveway that led to an underground garage, removed the roof rack and parked the Land Rover in Bay 2. I looked at it one more time and touched the bonnet, secretly hoping the car would come to life and give me a farewell hug. No reaction. Instead, I gave the keys to the doorman, turned around and headed to the exit, into the hustle and bustle of a Thursday night in London. Adventure completed. What had begun with a simple email in June 2015, led me to Nairobi in January 2016 and ended 6 months later in August 2016. 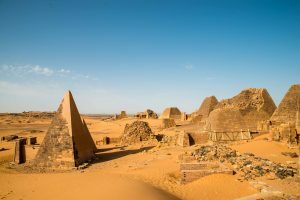 It felt as if a lifetime had passed, as Africa, the Middle East and Europe provided a constant source of unexpected experiences and emotions. For this final blog, I have gone through my journal and my memory to dig out the journey’s challenges, the highlights and the most stressful moments, as well as a short summary of my journey through Europe. 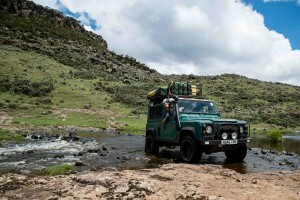 Mechanics: I knew all but nothing about cars before I set off to Nairobi in January, and I came back feeling like I was ready to open a Land Rover garage. As the saying goes: “Land Rover: Making mechanics out of owners for the past 60 years.” The mechanical condition of the Land Rover and my lack of mechanical skills were probably my single most pressing concern before I set off. A breakdown in the Western World usually involves little more than a call to a breakdown service, or worst case a taxi home. 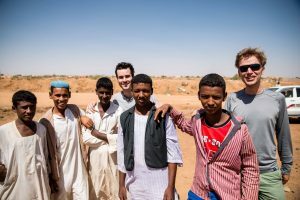 In Africa you can’t take reception or breakdown services for granted, and so when you’re exploring remote places on your own, the risks related to a breakdown and the knock-on effects of the breakdown increase exponentially. 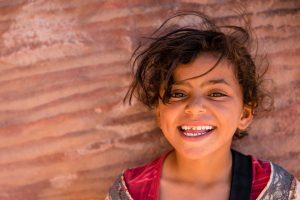 I tried to minimise the risks by buying a satellite phone, stocking up on 40 litres of water and food to last a week, and generally trying not to be very irresponsible. Of course, some people would argue that the journey itself was irresponsible! 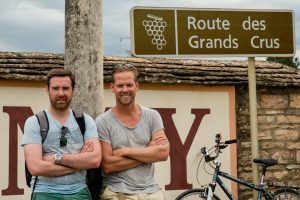 Route: I had studied the travel advice website of the UK Foreign Office in detail before departure, and finding a safe route back to Europe was far from easy. To avoid red zones, in Eastern Africa I had to navigate between Congo and Somalia, in Northern Africa I had to avoid South Sudan and Egypt, and in the Middle East almost every country was off-limits including Syria and Iraq. In the end, shipping the car to circumvent hotspots was the only way to do it, and shipping in itself was a time-consuming, expensive and frustrating process. I had also considered shipping the car to Turkey, which in the end I didn’t and was a blessing seeing the coup that took place there only a month ago. A friend described my journey as “a geopolitical steeple chase”. 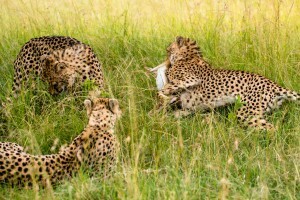 Watching cheetahs hunt in the Masai Mara (Kenya): There is something tantalising about watching a predator hunt. It arouses the senses, makes adrenaline run through your body, creating a tension that keeps you on your toes while the drama plays out before you. It’s the interplay between the prey and the predator, the hunter and the hunted, the strong and the weak. 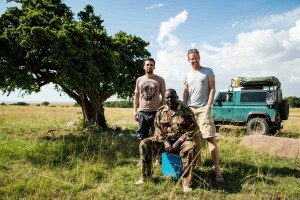 In the Masai Mara, with my INSEAD friend Vittorio, we were lucky enough to see a mother and her two sons hunting. It was small prey, a hare, but the speed and the agility of the cheetah, and the subsequent dynamic between the family members while eating the hare was fascinating. 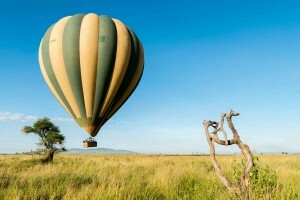 The hunt was set against the stunning backdrop of the Masai Mara, one of the most beautiful national parks I have seen in Eastern Africa, and perhaps the whole African continent. 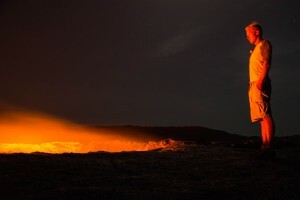 Climbing the Erte Ale volcano (Ethiopia): The northeast of Ethiopia, bordering Eritrea is known as the Danakil depression, which lies more than 100m below sea level and is one of the most desolate, hot and unwelcoming places on earth. 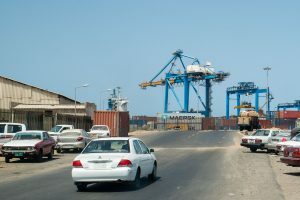 What’s more, it’s a dangerous area, as it is still a conflict zone between Ethiopia and Eritrea, and for this reason it has been marked red by the UK Foreign Office. 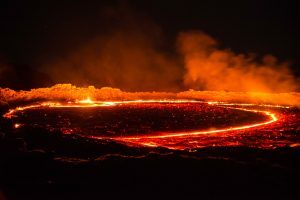 Yet a few travel operators venture into this territory, as the area has a lot to offer including the Erte Ale volcano, which is home to one of only seven active magma lakes in the world, as well as salt plains and sulphur lakes. The tour lasted 4 days and was unforgettable. 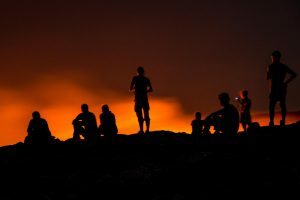 Driving for 7 hours through the hot desert and across lava fields, hiking another 5 hours to the top of the volcano and standing on the edge of a crater with exploding magma left a lasting impression. 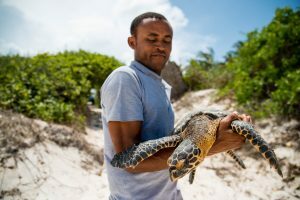 Rescuing turtles in Watamu (Kenya): Along the tropical Kenyan coast there is a marine park known as Watamu, where very rare leatherback and green turtles nest, year after year. 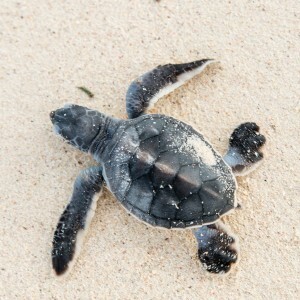 We stayed with the Local Ocean Trust, and for three days helped them release turtles that had been caught by fishermen back into the ocean, and also watched baby turtles hatch and instinctively make their way to the ocean. 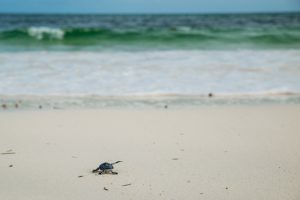 The mix of awe-inspiring nature, aqua blue water, white sandy bounty beaches lined with palm trees, the resilience and steadfast determination of the turtles and the inspiring work of the local ocean trust, made it one of the highlights of the adventure. 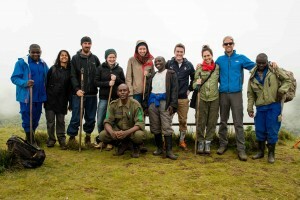 Standing face to face with our ancestors in Volcanoes National Park (Rwanda): While climbing Mt. 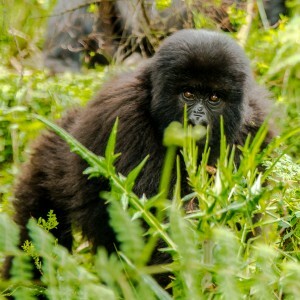 Bisoke in Volcanoes National Park in Rwanda, we ran into a family of gorillas. The shape of their hands and their feet, the hair on their bodies, their human-like gestures, the inter-family dynamics and the hierarchy of the silverback, combined with their sheer power and the knowledge that thanks to conservation efforts their numbers are slowly increasing again, made for a humbling experience. 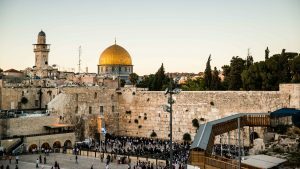 Visiting the old city of Jerusalem (Israel): One of the most ancient cities on earth, the old city of Jerusalem is a historical gem born out of the Christian, Muslim and Jewish traditions. Within the pale limestone walls of the city, every square meter is occupied by a religious relic, surviving thousands of years of invasions and occupations by kings, caliphs and crusaders. The majesty of the city fused with the inevitable tensions between the different religious groups, makes for an electrifying experience. 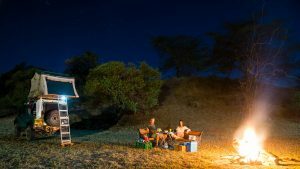 Camping in the rooftop tent: I have always dreamed about sleeping in a rooftop tent, and when I finally bought the Eezi Awn rooftop tent in Nairobi, I was over the moon! 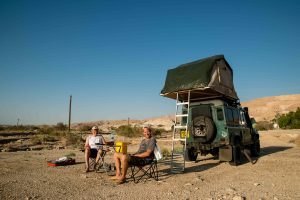 2.30m long and 1.60m wide, a comfortable mattress and two pillows, and perched high up above the ground, makes for a perfect camping setup. Highlights included camping on the rim of the Ngorongoro crater surrounded by grazing buffalos, watching the sun set from the rooftop tent over Lake Ndutu, camping along the Mara river by ourselves without a ranger, surrounded by hippos and eyes in the bushes reflecting off the light of our torches, camping with my father in the scorching heat 400m below sea level on the edge of the Dead Sea, setting up the tent in Wad Madani in Sudan in a side street when all the hotels in the city were full, and wild camping in the Aosta Valley in the midst of towering mountains and wild rapids flowing next to us. Watching the sun set from the cliffs of Etretat (France): Visiting the little town of Etretat is a gratifying experience while exploring the rugged coast of Normandy. 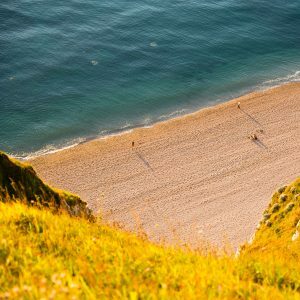 The charming town, the beach with pebble stones, the white cliffs and the natural rock arches have inspired famous painters such as Monet, as well as countless of tourists, to visit. The day that I visited Etretat, the dark blue skies were clear and there was not a cloud in sight, a gentle breeze was blowing over the sea and the red-orange sun was setting over the horizon. Sitting on the edge of the cliffs as the sun slowly set was one of those perfect moments one rarely experiences over the course of a lifetime. 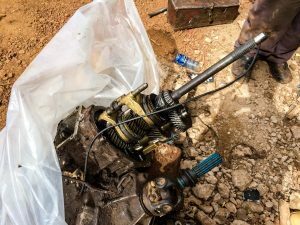 Hearing the Land Rover’s gearbox fall apart: When I heard the gearbox of the Land Rover grind to a halt somewhere on a desolate and windswept road between Nairobi and Kilimanjaro, my heart sank. Deep inside I knew something had gone badly wrong, and what was to follow would be an agonising and disconcerting experience. The car was motionless, my co-pilot had to catch a flight the next morning, there were no spare parts and the bush mechanic had falsely claimed that he could fix the issue. 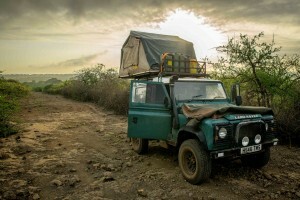 The bush mechanic left me with a gutted Land Rover, a broken gearbox and more than a hundred nuts and bolts, sitting in the grimy parking lot of a 5 USD a night motel on the Nairobi – Mombasa highway, alone. 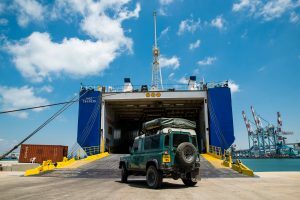 It took a trailer and a week of repairs before the Land Rover was ready to continue its journey north. 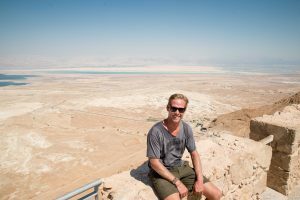 Crossing the Jordan – Israel border: After crossing more than 7 borders without too many problems, I felt confident about crossing the Jordan – Israel border in the north on the Sheikh Hussein bridge, even though it was known as a particularly tough border. 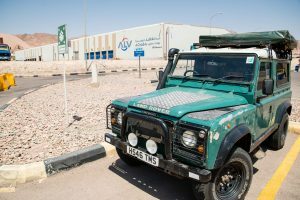 After 6 hours in which we passed through 16 checkpoints, x-rays and interrogations we were sent back to Jordan as the Israeli customs officials did not accept the authorization letter by the owner of the Land Rover, and demanded we would return with a ‘notarised’ authorization letter. 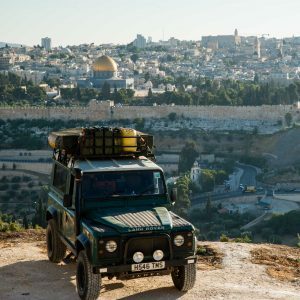 Eventually it took five days of waiting for a letter to arrive by DHL from London to Tel Aviv, and another stressful 6 hours at the same border, in order to make it successfully into Israel. The last stretch through Europe was a breeze compared to the Middle East and Africa. Open borders, well-paved roads, no corruption, ample availability of supplies, peace and relative security and an endless treasure trove of historical and contemporary sights, made for a welcome change. Together with Rene (INSEAD), Jonnie (Atlantic College) and Yael (New York) we explored everything between Athens and London, including the ancient city of Delfi, the canyons of Montenegro, the walled city of Dubrovnik, the Ferrari factory in Maranello, the Aosta Valley, the vineyards of Burgundy and the Loire, the romantic city of Paris, the castles of the Loire valley, the home of Monet in Giverny and the rugged coast of Normandy. I sped through Europe in less than three weeks, much less than it deserves, but knowing I will come back to visit these places and more at some point in my life. I left for Africa full of excitement and anticipation, and came back to the Netherlands having experienced the adventure of a lifetime. 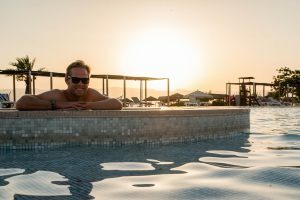 Not in my wildest dreams could I have anticipated the awe-inspiring highlights, the challenges I had to deal with and the stress experienced during the unexpected setbacks. I came back to the Netherlands not a changed man, but a spiritually richer person, having learned a little more about the world and about myself. I am grateful for the opportunity I had to embark on this adventure, and look forward to the next instalment, which I’m currently figuring out! Thank you for your support and your interest in this adventure, and I look forward to seeing you soon! “Get to know your parents, you never know when they’ll be gone for good”. The song is filled with little gems of wisdom about life, but the one about my parents has always stuck in my head. 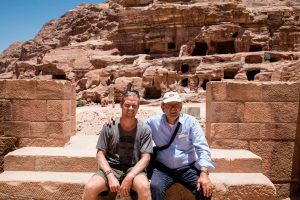 And so it happened that my father became my fifth co-pilot on a particularly thrilling part of my Dark Star Safari through Jordan and Israel, one of the few countries left in the Middle East where you can travel freely, with the exception of the Gulf States. Six years ago my father and I cycled for a month from Zambia to Rwanda, and now we had another opportunity to bond for almost three weeks in Jordan and Israel. 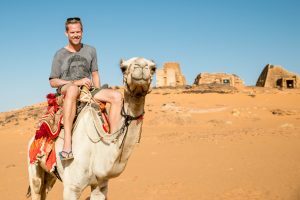 Traveling together with my father through two incredibly fascinating and historically dense countries was a real highlight of the journey, but the bureaucracy of traveling around with a car in the region was painful, to say the least and resulted in extraordinary and unexpected delays. 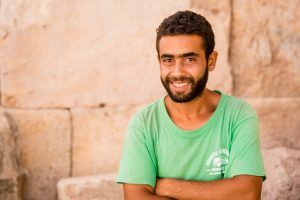 It took a full week to get the car out of the container from Aqaba port and back onto the road, of which five days were spent in Aqaba by the Red Sea. My clearing agent, an incompetent and uncommunicative local, spoke only Arabic, which made it even harder for me to understand the nature of the delays and the outrageous costs. 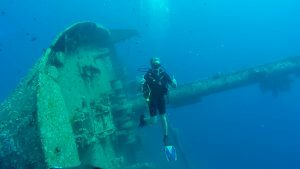 In between aggravating phone calls with my agent, I went scuba diving in the Red Sea, which admittedly was breathtaking. 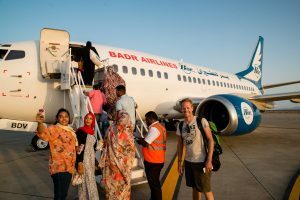 The coral reefs in Aqaba have been left mostly untouched as the majority of tourists used to head to Sharm-el-Sheikh, until in 2015 a Russian charter airline with more than 200 tourists on board was blown up above the Sinai, resulting in a sharp decrease in tourism. Once I had the car back in my possession, I set off for Petra to meet my father. Petra was the ancient capital of the Nabateans, built over 2,000 years ago and served as a major trading hub between the East and the West. 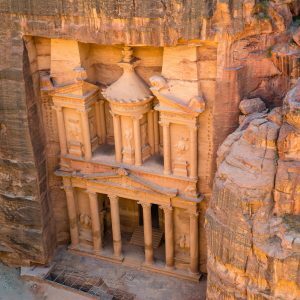 It was only rediscovered 200 years ago by a Swiss explorer and has since become an iconic tourist attraction in Jordan, rightfully so. 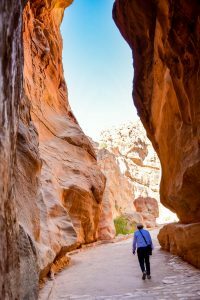 After a walk of about 2 km through a narrow and winding canyon, it opens up to the Treasury, a beautiful temple carved into the pink sandstone cliffs. As you venture deeper into the canyons, more temples and tombs appear, and you can easily spend two days exploring this vast ancient city. Our visit, however, was in the heat of summer, so we spent half a day exploring, finding shade wherever we could. 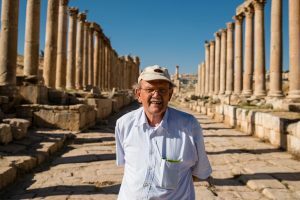 We continued our journey, stopping briefly in Amman, and visited Jerash, an old Roman city to the North of Amman that has been very well preserved over a period of more than 2,000 years, and restored with the help of USAID. 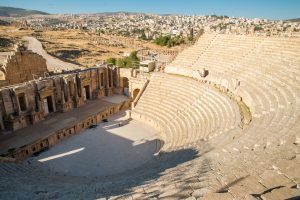 Besides Jerash, Jordan has much more to offer including Wadi Rum and the Dead Sea, but the unexpected delays related to clearing the car meant that we had to cut our time in Jordan short. We had planned to cross the border into Israel the day after visiting Jerash, to make it in time for the pre-wedding drinks in Tel Aviv of my INSEAD friend Steve Anavi, but that unfortunately went miserably wrong. 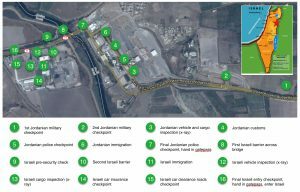 Crossing the Jordan – Israel border at the Sheikh Hussein bridge in the north was one of the most unnerving and stressful experiences of this journey in the past six months! 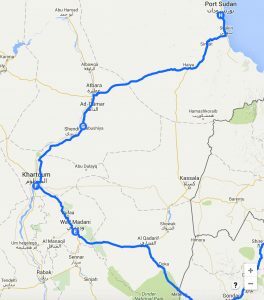 After 6 hours of stress and 16 checkpoints (see attached picture), we were coldly sent back to Jordan because the authorization letter given to me by Tom (the owner of the car), was not official. Had I had sufficient time I would have been upset but not stressed, but the fact that I had planned to attend Steve and Natalie’s wedding in Tel Aviv the day after made it a very stressful experience. 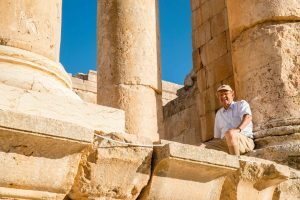 In the end, we returned to Amman in Jordan, disillusioned. While Tom organised an official letter in London, I crossed into Israel by bus the next morning (another 5 hour ordeal) in order to make it to the wedding in time. Exhausted, I made it to the wedding, and it was well worth the effort in the end. Steve and Natalie got married on a beautiful farm outside Tel Aviv. The outdoor ceremony was conducted in the Jewish tradition, ending with the breaking of a glass, symbolising the fragility of life, our mortality and the inevitable existence of both sadness and joy. Steve had invited almost 40 INSEAD classmates, which meant that I got to see many of my good friends who I had missed at the reunion in May. Two days after the wedding my father joined me in Jerusalem, while we were waiting for the official letter to be DHL’d to Tel Aviv. When the letter finally arrived on Thursday 7th of July, I returned to Amman (another 5 hour ordeal) to pick up the car and drive the car back to the border, while my father picked up the letter in Tel Aviv airport and would then meet me on the other side of the border to hand me the letter. Just before getting to the border, I filled the tank with diesel. Just as I was about to set off again, the car wouldn’t start. This had happened before, but no matter what I tried, the car wouldn’t start. I was under enormous time pressure as the border crossing was likely to take 5-6 hours again, and it was 3 pm in the afternoon and the border was closing at 8 pm. 45 minutes later, desperately, I asked some locals for help, who asked for a hammer and knocked the starter motor, and boom, the car started. Gratefully, I jumped into the car again and set off for the border. The Jordanians, however, were not very cooperative this time around. Adding insult to injury, as I was trying to pass through immigration on the Jordanian side, a bus full of American tourists entered the immigration building right before me. Since the border was about to close and I had many checkpoints ahead of me, I respectfully asked if I could move ahead of the cue, and jokingly offered everyone drinks if I successfully crossed the border. 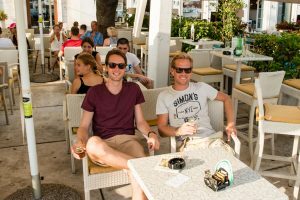 One American tourist then bluntly replied: “I will never accept drinks from someone that’s wearing a Che Guevara short.” Wow. Long story short, my father handed me the letter on the Israeli side, which fortunately was accepted, and another 6 hours later we made it into Israel. An ordeal I hope to never go through again! Israel and the West Bank, even more so than Jordan, was a sensation. I was blown away by Jerusalem, what a fascinating and stunning city, seamlessly blending ancient and modern times. 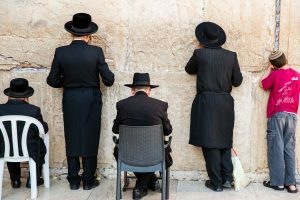 More than 3,000 years old and sacred to Jews, Muslims and Christians. Conquered by kings, crusaders and caliphs. 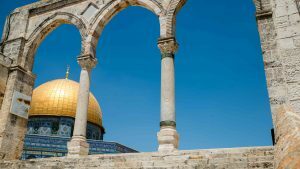 There are few cities in the world that stir up so much passion and controversy as Jerusalem, and I couldn’t help but to be swept away by its energy and the tensions, which are palpable everywhere. I grew up in a Christian family, and while religion was important to my parents, it has never played a significant role in my life, which makes it hard for me to believe that throughout the ages, and to this day, civilisations would fight and kill in the name of religion. Yet after visiting Jerusalem I witnessed how passionately Muslims, Jews and Christians practiced their religions and when both beliefs and sacred objects such as the Dome of the Rock (Jews believe that is where Abraham prepared to sacrifice Isaac, while Muslims believe that is where the Prophet Mohammed ascended to heaven) intersect each other, it helped me to understand the source of tensions and conflict. 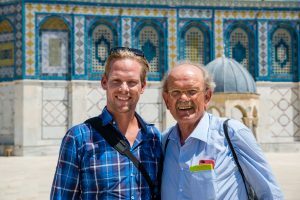 My father and I spent three days in Jerusalem, and loved the experience, which was overwhelmingly positive. We were hosted by lovely Israeli friends who gave us both a historical and a contemporary perspective of modern-day Israel. Besides the old city, we also visited the Israel museum, home to the Dead Sea Scrolls and a vast Picasso collection, as well as the impressive holocaust museum, Yad Vashem. An experience not to be missed! 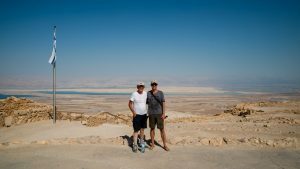 For my father and I, traveling through Israel and the West Bank was like walking through a biblical theme park. 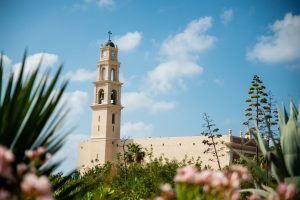 Besides Jerusalem, we visited the nativity church in Bethlehem, where Jesus was born, the Jordan River, where Jesus was baptised, Nazareth, where Jesus grew up, and the Sea of Galilee, where Jesus delivered the Sermon on the Mount. 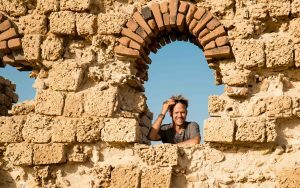 We visited castles that were built by crusaders when they conquered parts of modern-day Israel in the 11th and 12th century, we visited magnificent ruins of palaces built by King Herod in Masada and Caesarea, floated in the Dead Sea and camped in the wild. The density of historical events and monuments is beyond belief. Of course, a visit to Israel and the West Bank also provides a window into the constant source of tensions and conflict that we see in the media. The extreme military presence, as well as the contrast between Israel, which is highly developed, and the West Bank, which is in a dire state, is difficult to ignore. Every conversation somehow includes an opinion about the situation, and it is hard not to have an opinion yourself in such an environment. What makes it hard is that I have friends on both sides, and I respect their views, even though I may not agree with them. 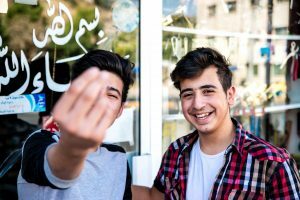 For me, however, the friendship is more important than my views on the conflict, and so I tend to stay away from the politics, which in my mind, the way things are going, may never be solved in the foreseeable future. Our visit to Israel and Jordan went by way too fast, but I’m very happy that I made the decision to visit these two unique countries. 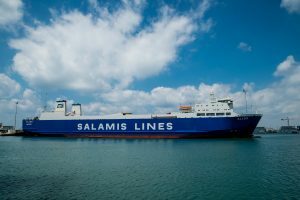 Fortunately shipping the car from Haifa to Athens was much easier than from Port Sudan, taking only four hours instead of four days. 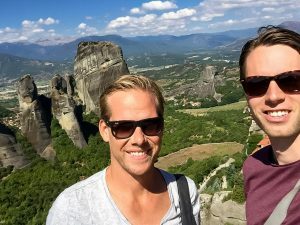 My father returned to the Netherlands and I made my way to Athens, ready for my next co-pilot and INSEAD friend, Rene van Rappard! 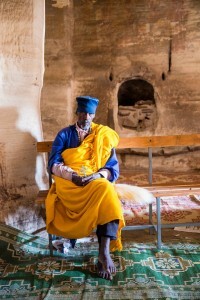 In 2012 I spent two weeks visiting the north of Ethiopia, and in comparison to the last four weeks it felt hurried and staged. 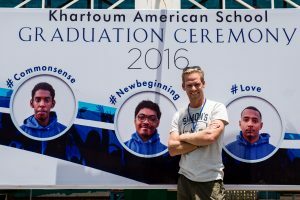 This journey – from Moyale on the border with Kenya, to Metema on the border with Sudan – was more spontaneous and as such gave us (Adriaan Kroon and myself) a more authentic window into Ethiopian culture and the lives of ordinary Ethiopians. 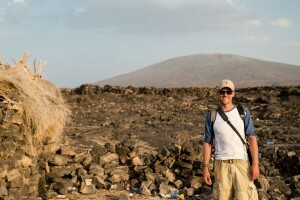 Like I did in 2012, we visited the main tourist sites such as Lalibela and Axum, but due to the large distances we also saw “the places in between”, which was equally fascinating. Of course, these observations have to be taken with a pinch of salt and have to be seen in the context of my earlier travels to Kenya, Tanzania, Rwanda and Uganda but I dare to say there is some truth to it. After having experienced the extreme corruption of the Kenyans and the Tanzanians either through first-hand experience, or by simply reading the news, Ethiopia was a breath of fresh air. The border crossing at Moyale in the south was transparent though not particularly fast (the electricity had gone off so we had to wait for two hours until it came back on in order to operate the fingerprint machines), and required no unexpected and outrageous extra fees as I had experienced at many previous border crossings. Ethiopians produce receipts for every product or service they sell, to a point. When we were in the Bale Mountains we passed the entrance gate of the national park, and the guard refused to let us pay because he did not have a receipt for us! 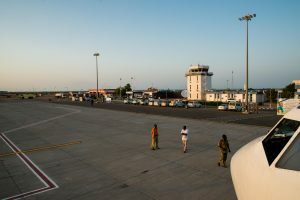 Making a promise, and then delivering upon it is another character trait that we observed, most notably in Addis Ababa. 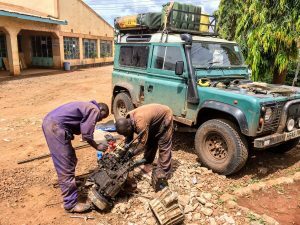 The Land Rover, as usual, had some issue (the gearbox has started leaking again), which we discovered right before we were about to head north to visit Lalibela. 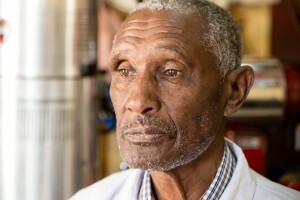 Thanks to an Ethiopian friend, we were put in touch with Sevag, a fifth generation Armenian who had set up a car workshop in Addis Ababa and also happened to be a Land Rover fanatic. We sent the vehicle for a diagnosis and after the test drive, the manager, the senior mechanic and the mechanic discussed the problem for about 5 minutes, gave us a reasonable offer of 100 USD and a time estimate of 8 hours. 100 USD and exactly 8 hours later, the problem was fixed. This in contrast to my mechanic in Kenya, who promised he would fix the gearbox quickly, and eventually took more than 5 days to complete a job that could have been done in 2 days. 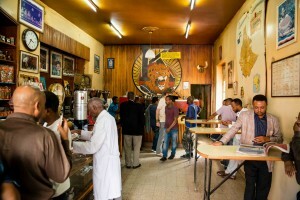 Wherever we were in Ethiopia, by the end of the day the locals were drinking, either locally brewed beer or stronger liquor. But they were always drinking, and in large quantities. One night, around midnight, a massive fight erupted at a bar next to the guesthouse where we were staying. I couldn’t see what was going on, but I was convinced murder had taken place. The next morning, when we met an Ethiopian friend and asked about the incident, he responded, unfazed: “This happens all the time. 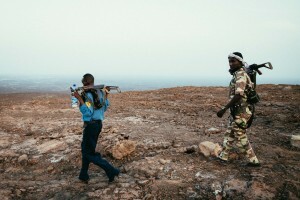 It’s just fighting, no guns.” What a relief. When I claim that Ethiopians are gastronomers like the Italians, I would soften that to say that their cuisine relative to their neighbours is sophisticated. Nevertheless, I’m still not a fan and that may be my biggest gripe about Africa, the (lack of) quality of the food. At least the Ethiopian cuisine is varied, even though injera with goat meat seems to be on every menu, whether it’s 6 am in the morning or 10 pm in the evening. Besides injera, you’ll usually find a plate of “pasta bologna” on the menu, which is a generally spaghetti with tomato sauce, with or without minced meat, and tends to be very very spicy. In some cases you’ll find a “pissa margarita” or a “meat sandwich”, which is the equivalent of a hamburger. I would say it’s edible, and not more. 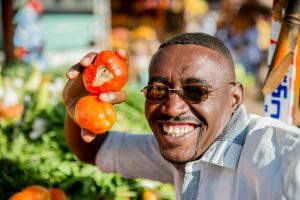 The hard part is that Ethiopians raved about their cuisine in every conversation we’ve had with them, and I usually played along, hoping that my wry smile wouldn’t give away my true feelings. Nevertheless, sweet tea or coffee with a warm croissant for breakfast in the morning, as we had in Addis Ababa, always goes down well. 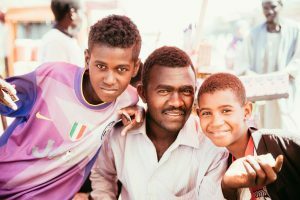 Once you learn a few phrases in Amharic and make an effort to get to know them, the locals are extremely warm and friendly. 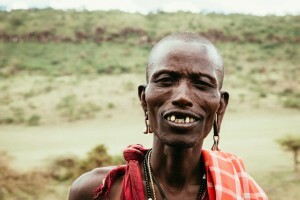 Besides Rwanda, Ethiopia was the only country where we were invited into people’s homes as complete strangers. In Mekele, we were pulled into the Commercial Bank’s annual party, after we were seen to be taking out money from the ATM at the bank on a Sunday. We were fed beers and injera, and then the most beautiful single female bank employees were pushed in our direction and made to dance with us, to the amusement of the rest. “Enjoy her!” said the bank manager. 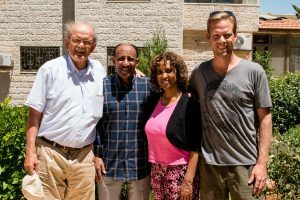 We experienced more evidence of Ethiopian hospitality in Mekele when we visited Healing Hands of Joy, an impressive NGO set up by Allison Shigo and working to end fistula in Ethiopia. During a traditional coffee ceremony, we heard the stories of fistula survivors, young women who had often been married at a young age and were then divorced by their husbands when they learned about their wives’ fistula. 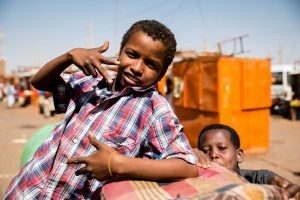 The only time we had a rather hostile but amusing encounter was with a young boy that approached us when we made a stop on the road to Addis Ababa. Locals always gather round when they see ‘farenji’, as did the boy. As he approached us, he picked up a medium-sized rock and then demanded money from us. The rock obviously felt like a threat so I went after the boy to disarm him, but he was too fast. So I pulled out some money, hoping to lure him in my direction, and then disarm him. However, he understood my cunning plan, and demanded that I deposit the money in the grass right in the middle between him and myself. It was almost like a prisoner exchange! Two older Ethiopians then passed by and as soon as they observed this comical situation they berated the young boy, upon which he dropped the rock from his hands and then looked at us with an innocent and conciliatory smile. All was forgiven. 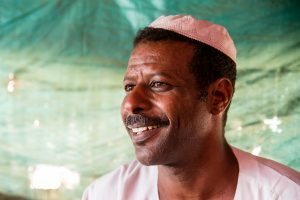 Not only are the Ethiopians proud about their food, but also about their history, and rightly so. Ethiopia claims to be the cradle of civilisation, as the country is home to Lucy, one of the oldest known Homo Sapiens, dated 3.2 million years ago and known as the “Grandmother of Humanity”. 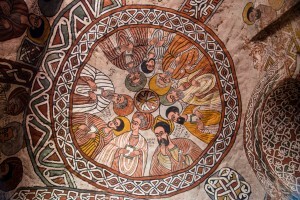 Not only is Ethiopia home to Lucy, it is also one of the birthplaces of Christianity, which dates back to the first century AD. 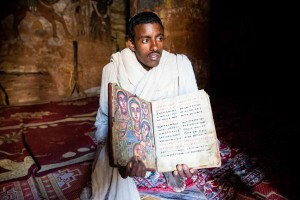 The north of Ethiopia features fascinating rock-hewn churches, such as those found in Lalibela and the Gueralta mountains, where they still practice their orthodox christian religion. In addition, Ethiopia is the only country in Africa that was never colonised, even though it was occupied by Italy during WWII. Nevertheless, in terms of leadership, just like many other African nations, Ethiopia has gone through its share of violent or incompetent leaders, including the infamous Haile Selassie, who many Ethiopians still idolise, as do the Jamaicans, who believe he was the reincarnation of the messiah. Emperor Selassie himself was always ambivalent about the topic, but when in the 1960’s he visited Jamaica and it started to rain upon his arrival after years of drought, the Jamaicans were no longer to be persuaded otherwise. 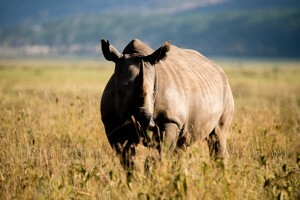 Where Ethiopia is lacking, perhaps, is in nature and wildlife conservation. More than 95% of its indigenous forest has been eradicated, leaving much of its land barren and prone to erosion. When we were in Arba Minch in the south of Ethiopia, we visited Nechisar national park, which has been poorly managed and therefore has little to no wildlife left and even though there is a prominent sign at the entrance saying: “Leave nothing behind except footsteps”, hordes of locals walk out unhindered with bundles of firewood on their backs or their heads. 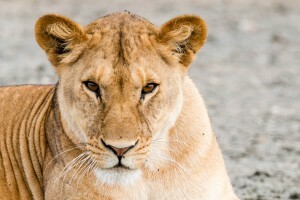 Most recently, scientists from Oxford discovered 140-200 lions in Altatish national park on the border of Sudan. The Ethiopians didn’t even know they had them! 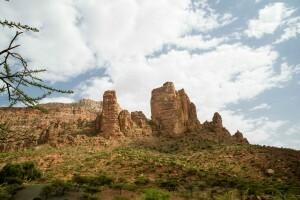 The borders of the Bale Mountains national park, home to the Abyssinian wolf, exist on paper, but they are not enforced, which in practice means that human populations encroach on the park’s land, but nothing is done about it. The only reason that the Abyssinian wolf has survived is because it lives high up on the Sanetti platteau, which is generally too cold for humans to live on. 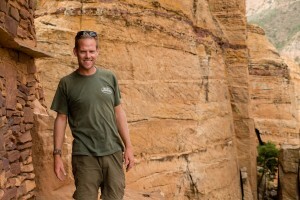 Two exceptions to Ethiopia’s dilapidated state of its nature and wildlife are the Simian Mountains and the Danakil Depression. The Simian Mountains I visited in 2012 and are a stunning mountain range with jagged peaks over 4,000m, waterfalls and the fascinating gelada baboon. 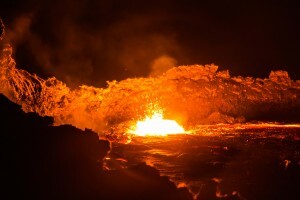 The Danakil Depression, which is home to the Erte Ale volcano, the sulphur plains of Dallol and the salt plains, are another natural wonder. 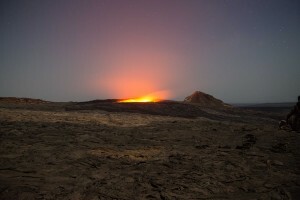 Right on the border of Eritrea, volcanoes rise out above the desert, which lies more than 100m below sea level and is characterised by extreme heat reaching up to 50’C. 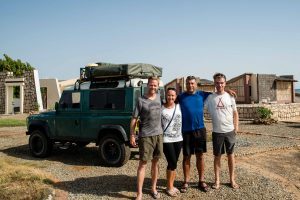 With a tour operator based out of Mekele we went on a 4 day excursion to the Danakil Depression with the Land Rover and experienced one of the highlights of the journey. 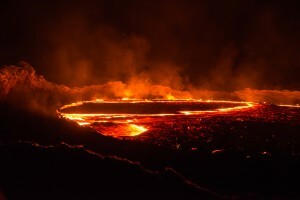 After seven hours of driving in extreme heat through the desert and over lava fields, we hiked 5 hours under the moonlit sky to reach the crater rim of the active Erte Ale volcano, where we were allowed to stand right on the rim to see blobs of magma at 1500’C bubbling to the surface. The sulphur plains of Dassol, which we visited the day after, we saw a patch of multicoloured minerals in the desert, including yellow sulphur, orange copper and green acid ponds. The visit to the Afar and Tigray workers on the salt plains was impressive, especially seeing them carve out blocks of salt in unbearable temperatures under the scorching sun, loading them onto their camels and then walking five days to the nearest market, all for the meagre sum of 4 bir (0.20 USD) per block of salt. This experience certainly put my own life into perspective. 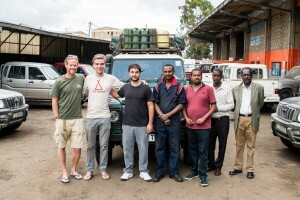 We spent over a month in Ethiopia, and it was an unexpected highlight of the journey. Not only did we visit in the low season, but on the whole there were very few tourists, making for a unique experience. 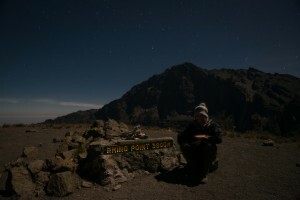 Two months into my Dark Star Safari, my first blog. 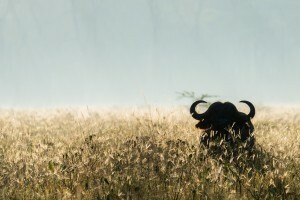 For one reason or another, the focus has very much been on the journey itself, getting organised, connecting with my co-pilots, navigating East African roads, people and bureaucracy but above all enjoying what this part of the continent has to offer (more about that later), more so than getting down behind my laptop and writing. In fact, getting away from my laptop was one of the reasons for undertaking this journey in the first place. But now, while waiting for the Land Rover to be repaired, I’ve found the time to sit down and reflect about the last eight weeks, and perhaps the journey in general. 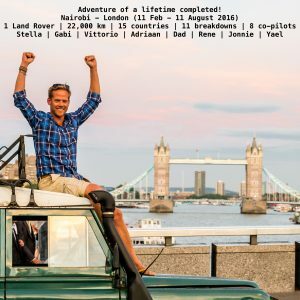 First, for those who are curious about how I ended up driving a Land Rover from Nairobi to London, in the About the Journey section I go into more detail so will not repeat that here. Second, a brief explanation of the origin of the journey’s name, Dark Star Safari. 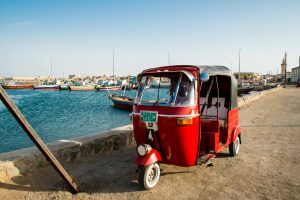 It was named after Paul Theroux’s classic book, in which he describes an overland journey by public transport from Cairo to Cape Town through most of the countries that I will cross on my journey, but in the reverse direction. 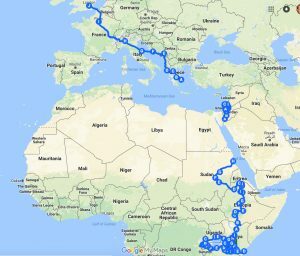 As with my Solar Africa journey in 2010, in which I cycled from Cape Town to Nairobi, I left preparations to the last-minute, which by now I‘ve realised is in my nature. 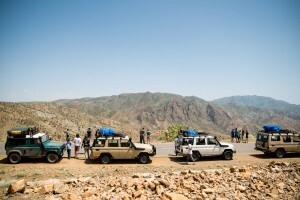 On this trip I’ve met overlanders who have spent up to two years preparing the journey, but that doesn’t work for me. I had set a deadline for myself, my flight to Nairobi, on the 22nd of January, and in the three weeks after Christmas I did whatever I could to get ready. My biggest concern was related to the integrity of the Land Rover, which was 25 years old and known to have teething problems. I therefore spent time observing a friend who is an expert mechanic, and also spent time with two Land Rover garages who gave me a crash course Land Rover maintenance with one of their mechanics. By the time I arrived in Nairobi I knew the theory, but I had never changed more than an oil filter, so the real test was still to come. The first two weeks in Nairobi were hectic, as I had another deadline to meet, which was the arrival of my friend Kathleen Hertel on the 9th of February, who would join me on the first section of the journey. I found the Land Rover in a derelict and neglected state. For 8 months it had been parked in the garden of a house in the Lavington neighbourhood. The front left tire was flat, the battery was dead and all the permits had expired. 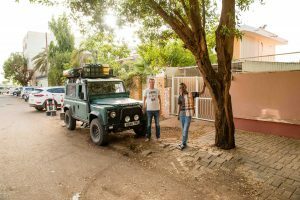 Using my amazing friends Joe and Ruth’s house as a base, for two weeks I raced around Nairobi on a boda boda (motorcycle taxi) trying to get the Land Rover ready. The Automobile Association of Kenya helped me with third party insurance, renewing the foreign vehicle permit and the carnet de passage. Simon’s Mud Rover in Karen garage fixed everything from the brake discs to the battery to the roof rack, while I went on an endless search through Nairobi to find a rooftop tent. A little over two weeks after landing in Nairobi, the car was ready, so I thought. 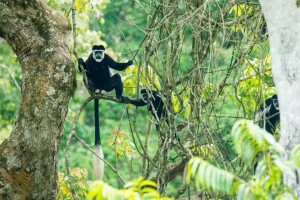 Together with Kat I headed to Amboselli, one of Kenya’s premium national parks (NP). My first mistake was trusting Google Maps. In Africa, Google Maps doesn’t distinguish between tar and dirt roads, so if a dirt road is shorter, Google Maps will happily send you off into the bush, which can often take twice as long and a lot of frustration. Nevertheless, we made it to the border of Kenya and Tanzania on the first day. 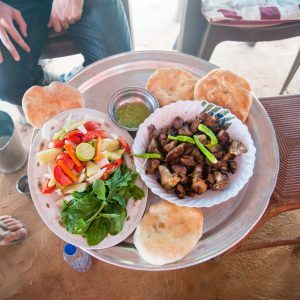 I also quickly learned to be careful where and when to order meat in East Africa, as the chicken that we ordered at the campsite was about as tender as my Havaianas. Amboselli NP was truly spectacular. The open savannah set against the majestic Mt. 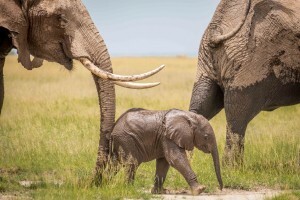 Kilimanjaro, combined with hundreds of elephants and other wildlife, was unforgettable. 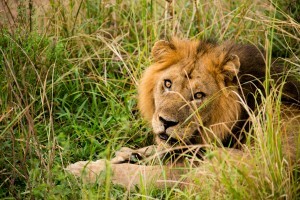 We camped at a public campsite in the park, and spent most of the day doing game drives. Unfortunately, three mechanical problems not picked up in Nairobi surfaced. First, in Namanga, the windscreen wiper came off in the middle of the highway. Not much later one of the shock absorbers caved in, and then the brake disc began making a high-pitched noise. While these issues did not ground the car to a halt, I was quite stressed out. While I had taken the necessary precautions in terms of water and food, how do you fix a car in the middle of a game park, surrounded by elephants, lions and other predators? Some bush mechanics helped me fix the windscreen wiper and the brake issue, but the shock absorber would have to wait till a big city. 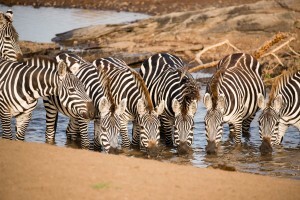 We continued our journey to Tsavo West, a NP next to Amboselli the size of Israel. 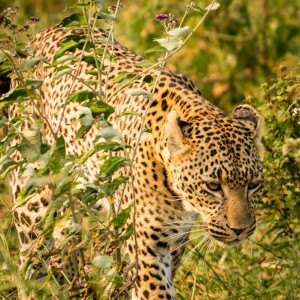 While the thick brush made it nearly impossible to see animals, we did see a young leopard along the road, which unfortunately disappeared right after we reversed to observe it. Our permit was only valid for 24 hours, and since the park was so big we had to race to the exit to make it out in time, also before darkness. I turned into a path to the Ziwani gate and ended up on a track that hadn’t been used in a long time, resulting in the most adventurous off-road experience up to that point. Trees had fallen onto the track, bridges had broken so we had to cross dry river banks, and the wild animals hadn’t seen people in a long time, resulting in an elephant charging the Land Rover as I was trying to photograph it. 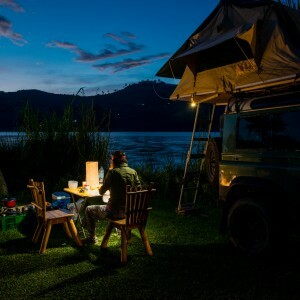 The massive delay meant that we had to drive in the dark to our campsite by Lake Chala, a mysterious crater lake by the Kenya-Tanzania border. In the end, we never found the campsite and just set up our tent by the base of the crater, in the middle of the wilderness. That experience made me feel ultimately free, being able to sleep anywhere I want, just by setting up the rooftent. 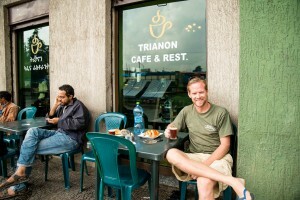 The next morning we crossed the border into Tanzania and slept in Arusha that night. In Arusha Kat left and I was joined by Stella Romana Airoldi, a Dutch friend who started a jewellery business in Uganda. She was meant to go to Uganda but decided to join me as the elections made it risky to travel to Uganda. While waiting for her arrival I stayed with Mary and Gwynne in Arusha, a lovely family who I had met in Thailand the year before. Gwynne helped me repair the shock absorber and many other teething issues, while Mary fed me the most delicious food! 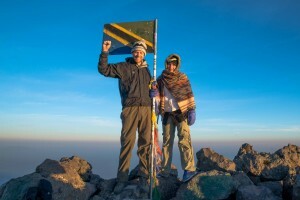 Together with Stella we climbed Mount Meru (4565m AMSL) in three days, which was another highlight of the journey up. From the summit, the views of Mt. Kilimanjaro, which I had climbed in 2009, were stunning. 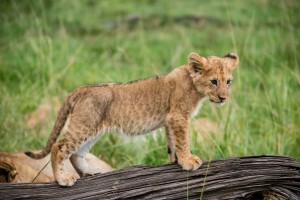 Stella and I then spent four days in Ngorongoro and Serengeti, where we saw so many beautiful animals, ranging from leopards to lions to cheetahs. 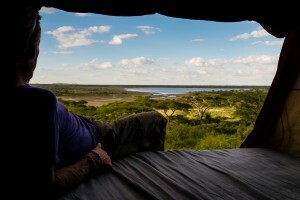 We also camped in a stunning campsite by Lake Ndutu. 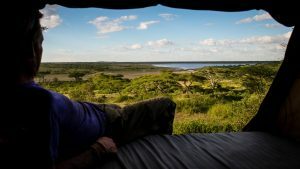 There were no facilities, but the breathtaking views of Lake Ndutu and the wildlife made up for that. Our journey continued to Mwanza, where we stayed at the local yacht club and were unexpectedly hit by the most powerful storm I’ve ever experienced while camping. 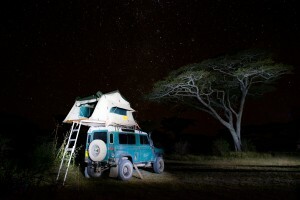 In the middle of the night a storm began raging over Lake Victoria and straight into our rooftop tent. The tent poles flew off, and rain and wind entered our tent soaking us completely. I was worried the whole tent was going to come off, but fortunately it held. We picked up the pieces in the morning, and then continued our journey to Biharamulo, where we stayed in an old German fort, which was used as an administrative post during the colonial era. 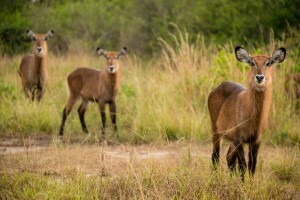 We had hoped to do some more game drives in the area, but the reserves were completely inaccessible for tourists. In Rwanda Stella left for Uganda, and I was joined by my longtime friend and Atlantic College classmate Gabriela Rosales, a girl from Venezuela living in New York. With Gabi we explored Volcanoes NP in the northwest of Rwanda, where the borders of Congo, Uganda and Rwanda meet. While climbing Mt. 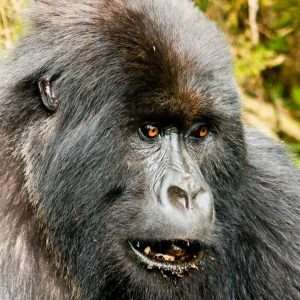 Bisoke, we ran into a family of 10 gorillas, which was a surreal experience! Rwanda was a real highlight, with very friendly people, good infrastructure, clean and beautiful landscapes. To realise that the country had been involved in one of the most destructive genocides in history only 20 years ago, it is a true miracle how the country has recovered. In Uganda we stayed at beautiful Lake Bunyoni, while waiting for my debit card to be recovered, which had been ‘swallowed’ by an ATM in Kabale. We also visited Queen Elizabeth National Park, where we met Stella and her mother, who were also on a road trip together. After Tanzania and Kenya, game driving in QENP was a disappointment, with a highway running through the middle of the park, very few animals and lions with tracking collars. Not only that, the fees were extraordinarily high, which was completely unjustified. Later we also found out that the Rwenzori area had been embroiled in violent conflicts over the last two years, with nine people killed in Kasese right before we entered the park. 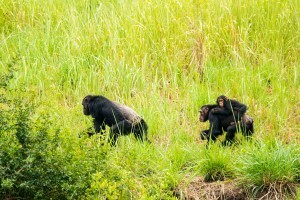 We did enjoy hiking the Kyambura gorge, where we went chimp tracking and only after our second attempt saw three chimps on the other side of the gorge. In Kampala Stella invited us to visit the Acholi quarters, a slum to the east of Kampala where the Acholi (a tribe from the north that had been badly affected by the violent campaigns of General Koni) live, and where Stella runs her jewellery business, 22 Stars. Women affected by violence, AIDS and other misfortunes make jewellery for 22 Stars and in return earn a small living. 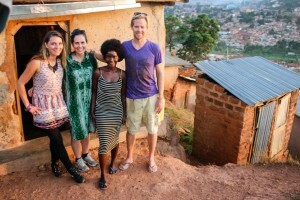 Stella introduced us to Susan, one of the lead designers and she told us our tragic story involving cancer, AIDS, death in the family, being displaced from her home by violence, living in the slum, trying to put her children in school. It was truly heartbreaking, and very much allowed me to put my life and my journey into perspective. 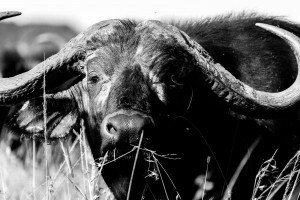 From Kampala we continued to Jinja and then into Kenya, where we spent two days in Lake Nakuru NP, seeing the most amazing rhino’s and many other animals. Two months after leaving Nairobi I was back ‘home’, where the journey had begun. After Gabi left to New York, I spent a few days trying to sort out my Ethiopian visa and waiting for my next co-pilot to join, Vittorio Previtali, an INSEAD friend living in Milano. 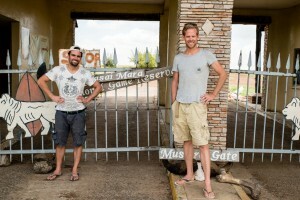 Vittorio stayed for two weeks, and together with him we visited Lake Naivasha, the Masai Mara, Watamu and Taita Hills. 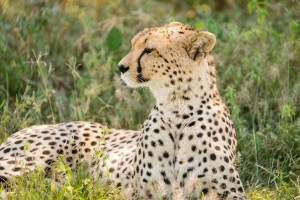 The Masai Mara was an incredible experience, in part thanks to our guide Bernard, who took us offroad to see the most amazing animals, including a leopard hunting, and three cheetahs hunting and killing a rabbit. In Watamu we spent a few days with Casper and Emily, friends of my brother Alexander, helping out at the Local Ocean Trust, where Casper, a marine biologist, runs a turtle sanctuary. 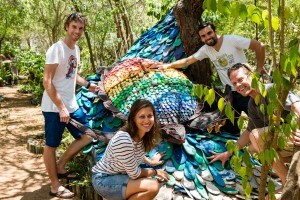 It was so rewarding to see their work, helping to conserve hawksbill and green turtles. Releasing turtles that had been caught by fishermen back into the ocean, plus seeing baby turtles hatch and dash for the ocean, was unforgettable. Hiking in the beautiful Taita Hills, not in a National Park for a change, but simply through mountain villages, was a great experience. On the way back to Nairobi we had our first major breakdown, with the gearbox falling apart on the road between Oloitoktok and Emali. What made it an especially harrowing experience was the fact that it was in the middle of nowhere, right before getting dark. Eventually we managed to tow the car from Duko Moja to Emali, where a local bush mechanic claimed to be able to fix the car in less than three hours. Adding to the problem was that my co-pilot Vittorio had to catch his flight back to Milano the next morning, leaving me behind to sort out the problem. I was stuck in the Kindu hotel, more like a roadside motel for truckers, and at 6 USD a night, you can imagine where I was staying. 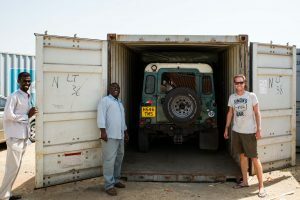 While the bush mechanic took apart the gearbox, I tried to go through my options, and eventually decided that staying in Emali was not going to work, so had the Land Rover put on a flatbed loader to Nairobi. Expensive, but the only realistic option. In Nairobi I was hosted by the family of Nicole van Tongeren, a United World College friend, whose family has a beautiful home in Karen. 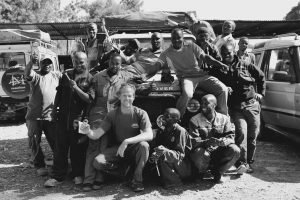 From there I could oversee the repairs to the Land Rover in the garage in Karen, where this adventure started in January. In the meantime my next passenger, Adriaan Kroon, arrived. 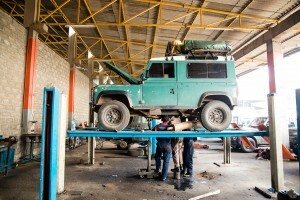 Together we’ll make the long journey north to Sudan, but first, the Land Rover needs to be reanimated!